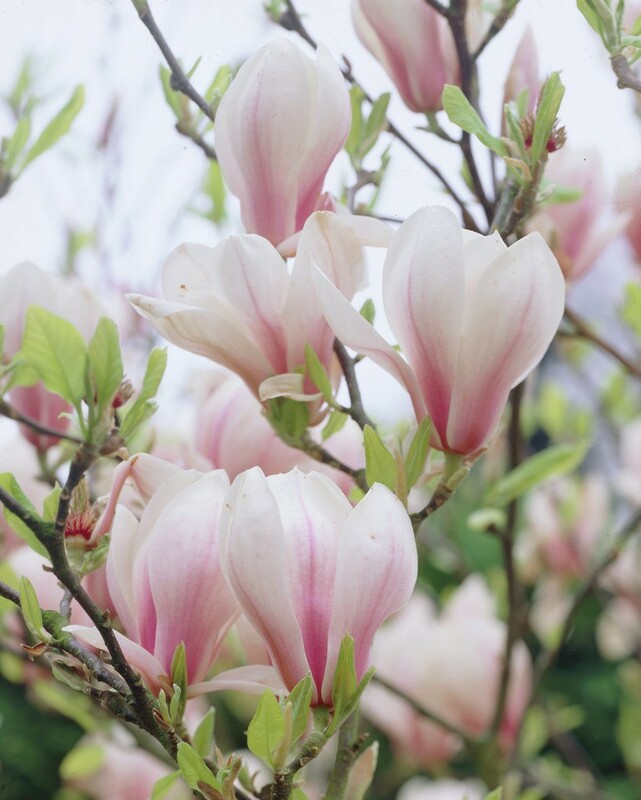 One of the most popular magnolias, with large, dark green leaves that start to appear in mid spring, at about the same time as the huge, deep rose-pink or white, goblet-shaped flowers. 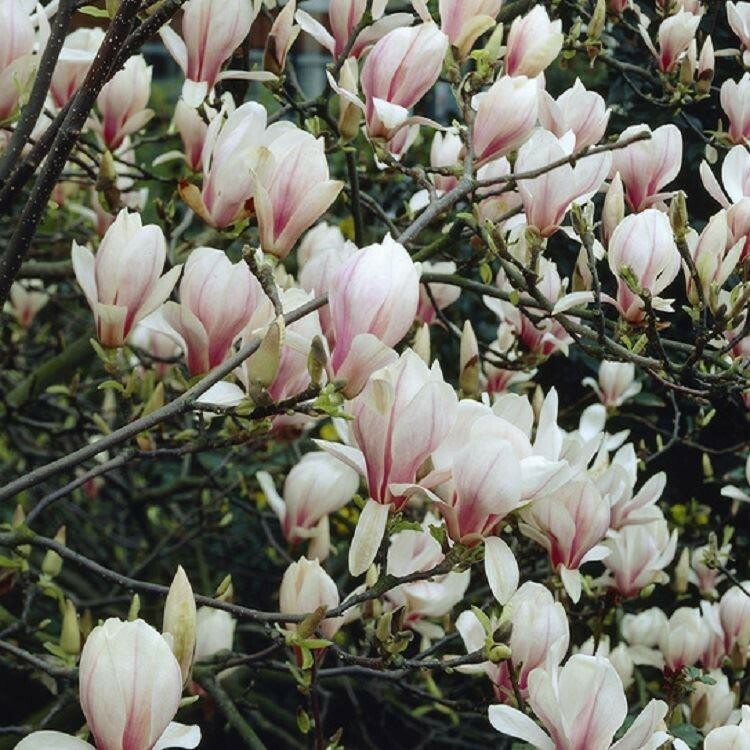 This is a good magnolia for smaller gardens,as it remains a shapely shrub for many years, and even when it is mature, is a manageable small tree. 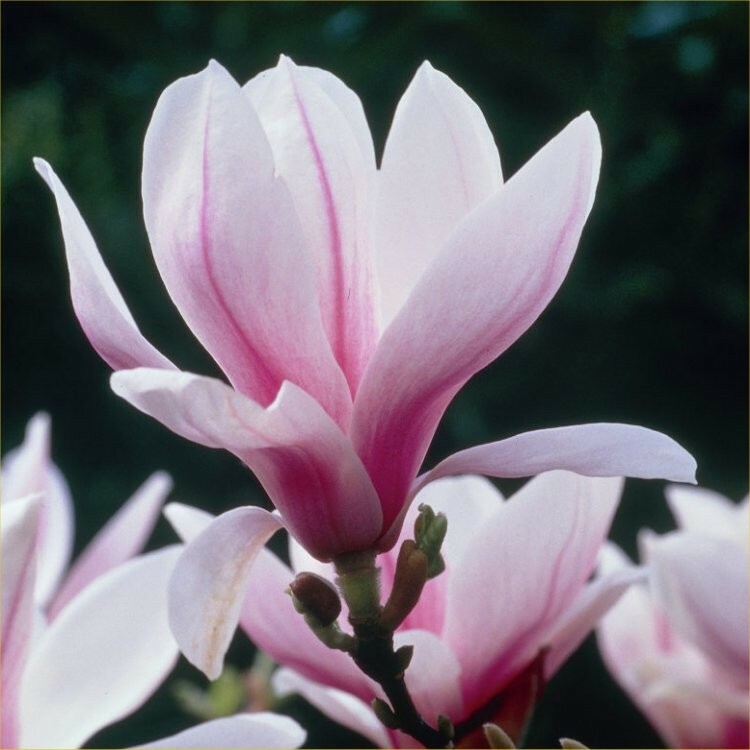 Supplied in approx 7.5-10 litre containers, these are flowering size well branched plants at around 120-150cms tall.